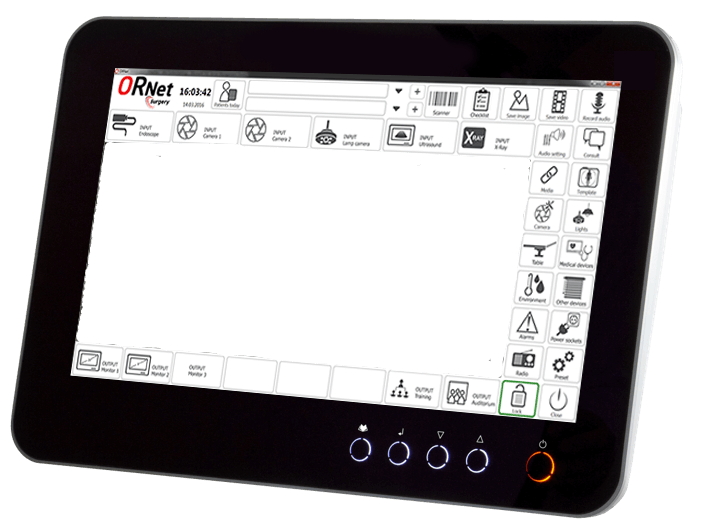 User interface allows a one touch control of all devices. Same user interface for similar devices increases comfort of work. Localized language options with icons and keywords. At the moment possible to choose between English, Swedish, Finnish and Estonian but it's easy to customize it to your own language. User interface adaptation to existing room and it’s functions.